Finding a good tile contractor or house painting contractor in Charlotte NC can be a surprisingly difficult process. Here at Charlotte Tile and Paint, we’ve found that the more you know, the better decision you can make for your home. Consequently, we wanted to provide you and other Charlotte homeowners with a comprehensive tile and house painting guide. That way, you’ll be armed to the teeth with useful knowledge next time you paint your house or remodeling the tile in your bathroom. Not to mention, you’ll know exactly how to separate the good Charlotte contractors from the bad. Knowledge is power so lets get started! Charlotte tile and paint specializes in both tile work and interior house painting. With years of experience, you can say we know our way around a color wheel. Color can dramatically alter any space within a home. The possibilities made available to us by modern paints are almost limitless, and traditional and modern homes alike can be transformed through the clever use of color. Looking for a great house painting color guide? Here is our favorite paint color of the year list by fantastic painting contractors Chicago. 3rd Gen Painting compares the paint colors of the year from top paint brands like Sherwin Williams, Benjamin Moore, & PPG. Most certainly, a great read for sure. Pale colors, whites, and pastels can instantly refresh a tired room, giving a clean look and creating a bright, spacious atmosphere. Rich colors, such as deep ruby or emerald green, will have an intense effect, creating a more intimate and cozy feeling. Here is a detailed paint color guide for your next house painting project in Charlotte NC. Your own personal preferences have a huge influence on which paint colors you will choose. . If you simply love rich, jewel-like shades, then be bold and go for a luscious raspberry to inspire you in your work area. We can use our knowledge of the color wheel to perfect the actual shades and intensity of colors. Certain colors can evoke emotional response, and clever use of light can enhance or subdue a mood. So before you decorate, take the time to first consider how you want the room to feel. 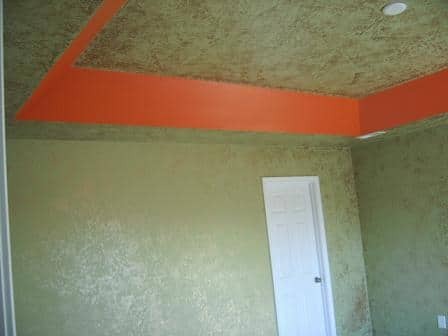 Use corresponding paint colors accordingly to achieve your desired feel in the space. Test colors can be painted on walls and trim to observe how they change from day to night. You can drape fabric over a chair in front of the wall and match to nearby furniture to see how the two colors and surfaces interact with each other. What Feelings Do Paint Colors Evoke? Pinks are fun, lively, positive and feminine. Reds are passionate, daring, intimate and comforting. Oranges stimulate creativity and are warming and cozy. Yellows are welcoming and sunny. Strong yellows are said to help the brain work better. Greens represent nature and are both tranquil and invigorating, as well as restful and balancing. Blues are connected to the sky and to water, and they are associated with clear thinking and calm, meditative environments. Violets can be stimulating and elegant, while blue violets can be cooling and spiritual. Give your walls some glamour with a faux finish paint application. Add intrigue to a room and enliven the atmosphere with a faux treatment. You can add texture to your interior walls, such as stucco, to give dimension and character. Personalize any room to your particular style and taste. Color washing means applying a coat of thinned paint over a background color. Sponging can be done a number of ways and involves dabbing and different colors. Ragging is one of the most varied and dramatic effects in the field of broken color, and is accomplished with rolled up cloth. Marbling gives the illusion of luxurious marble, great for columns or underneath a chair rail. 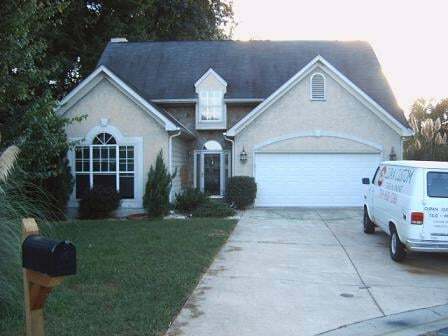 Charlotte Tile and Paint also provides excellent exterior painting services for homes in Charlotte, NC. Painting your home’s exterior is a necessity if you want to protect the surfaces from the outdoor elements. Remember that maintaining your home’s stucco, wood, vinyl, or fiberboard is very important to prevent expensive damages in the future. We recommend using Benjamin Moore for exteriors but are totally fine with using your preferred paint brand as needed. As a whole, paint products make for a great job. In addition, we can stain your exterior wooden decks and porches. 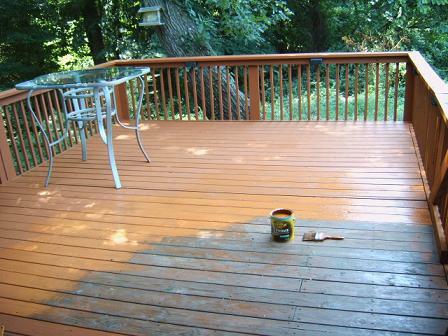 Staining or painting your deck floors or railings is needed to prevent costly wood rot damages. Lastly, we use quality stains and sealant such as Cabot deck stains to protect and seal your deck surfaces for the long haul! Ceramic tile is as good looking as it is practical. Benefits of this popularly used tile include it being a tough, easy to clean, and fireproof flooring or wall option. Tile can be installed on floors and walls, indoors and out, and exposed to water or high heat. Ceramic tiles can basically be used to decorate any room of the house including your kitchen, bathrooms, or mudroom. Furthermore, ceramic tile works as a fantastic backdrop to any home improvement or renovation project because of the varieties of styles and colors available. The variety of tile colors, shapes, and sizes creates wonderful design possibilities. Glazed ceramic tiles come in a rainbow of hues. Tile colors range from quiet neutrals & blazing primaries to pretty pastels & dramatic dark colors. Additionally, there are decorative tiles with designs, impressions, and imagery. Many tiles are textured, both for better grip underfoot and for an interesting look. There are also endless arrays of sizes and shapes readily available. In like manner, it is easy to give ceramic tile installations a detailed touch with a number of manufacturers offering a variety of trim pieces for edges, corners, caps, and rounded arches and circles. Lastly, many tile producers also provide matching accessories, such as towel bars, soap dishes, corner shelves, and paper holders. Ceramic and stone tiled floors, walls, and countertops are easy to care for as general cleaning consists of a quick wipe with a damp mop. Regardless, even when cleaning is neglected for a long period of time, a good wash will usually bring back the lustrous sheen. 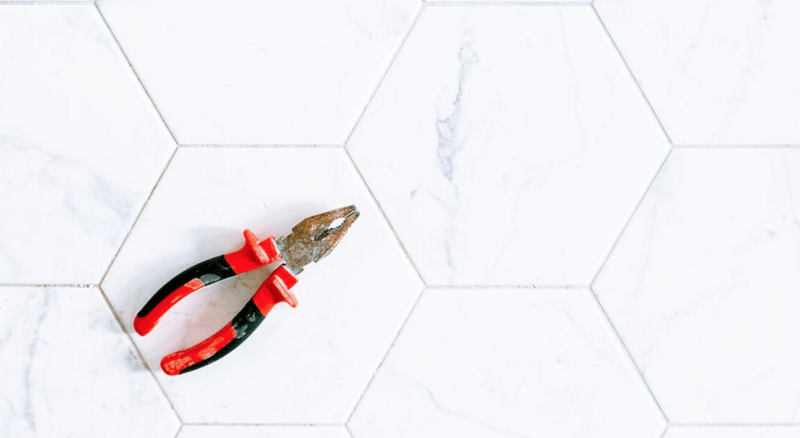 As long as the original installation was properly done, there is no reason why a ceramic tile installation would not last as long as your house. It is said that tiles used thousands of years ago in Egyptian pyramids looked just as lustrous as new tile when they were found years later. When purchasing tile, bear in mind that you will be living with it for a very long time. Make sure to take time and care in choosing tiles that you think will be appropriate for decades to come! If carpeting gets stained or damaged, you usually have to replace the entire piece. However if damage occurs to a tiled surface, individual tiles can be repaired as necessary without tearing out the entire installation. Cracked or loose tiles or damaged grout can be repaired and rejuvenated relatively easy which is a huge bonus. Alternatively, if you want to make changes for aesthetic reasons, most installations can be re-styled, accented, or added to without having to remove the main body of tiles. 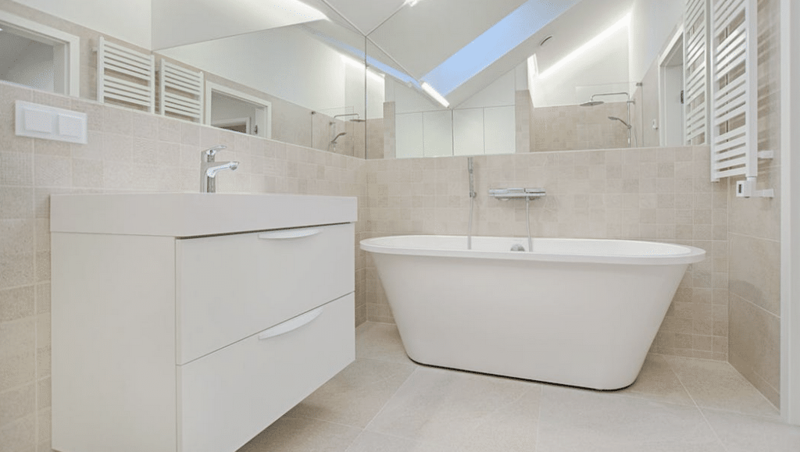 Lastly, it is fairly easy to extend a ceramic tiled surface should you decide to enlarge an area or add on to a room. Did you know that ceramic tile is an efficient solar collector, and one of the best floor coverings to install for that purpose? In the winter, tile stores heat during the day and slowly releases it at night, warming your feet. During the summer, tile defuses some of the sun’s rays by absorbing heat. Also, during the evening, ventilation around the tile carries the heat away consequently cooling the tile surface. Consider installing ceramic tiles around wall heaters and radiators, around wood stoves, and under skylights to get even more benefits from the versatile floor covering. In particular, if you are installing tile primarily for solar heat benefits, the best substrate is a thick bed of concrete. What’s more, tiles will store and emit heat to some extent even when installed over plywood! Ceramic tile looks so good that many people consider it a luxury but, in actuality, it is very affordable. For one thing, many ceramic floor tiles are about the same price as vinyl flooring. In addition, tile will long outlast vinyl installations, making tile the more economic choice as a floor covering. Likewise, a countertop built with ceramic tile may cost more than a laminate one, but will ultimately be more durable. In the same respect, a tile countertop will be less expensive than a stone or simulated stone slab. As you would imagine, tiling a wall can be more expensive than painting or paper hanging. 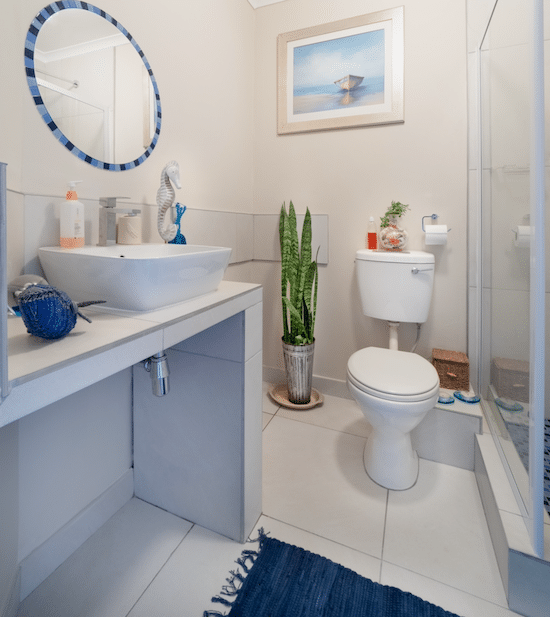 Having said that, because of its water resistance, tiles are more practical in wet areas such as shower walls, tub surrounds, and backsplashes. Another key point when important factor when weighing the benefits of tile against other products is the return for your money. Unquestionably, floors, walls, and counters covered with ceramic tile, marble, slate, and related tile products are generally associated with luxury living. Ultimately ceramic tile makes for an installation option that looks professional and will certainly add to the appeal and value of your home. Overall it is a great choice for your next remodel. There are a variety of different tiles you can use for home construction and renovation purposes. Each type of tile has its own unique properties and advantages. In addition, the type of tiles used in construction vary based on where you install them on the home. Ceramic tile is an awesome material for flooring. Not to mention, it is low maintenance and resists dirt and stains easily. Lastly, ceramic tiles will not fade, as its colors are permanently ingrained during the manufacturing process. Porcelain tile is actually a form of ceramic made with denser clays and fired at higher temperatures. Because of this, porcelain is frost-proof and capable of being installed outdoors. Granite is one of the strongest stones on the planet. This makes granite tile a solid choice to install as countertops and flooring along with other higher traffic areas. The neutral color range of travertine tile makes for an ideal backdrop for your design ideas. Travertine can act as a blank canvas in a space that gives you the freedom to employ a verity of color schemes and design ideas. Additionally, because of Travertine tile’s strength and ageless beauty; it has become one of the best selling and most popular tiles for construction. Polished Travertine: An elegant, high shine for a more stately and formal appearance. Honed Travertine Tile: A matte finish that softens the stone’s appearance, creating a casual atmosphere in any room. Brushed Travertine Tile: An antique finish that gives your room a reserved, old-world ambience. Marble is actually a metamorphic rock that contains crystallized sediments. This tile’s characteristic swirls and veins bring life and form to the tile’s surface. In addition, marble colors range from elegant greens, to classic blacks, whites and cremes. Slate tile is a rustic, earthy stone that is formed in layers. It is great for adding depth and texture to walls or floors. Recently, slate has become a popular choice to help transition between tradition and more industrial home design styles. 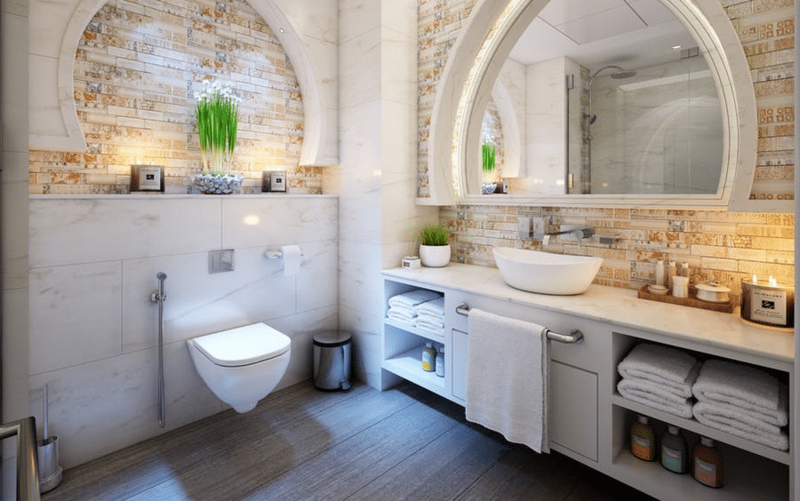 Glass and mosaic tile’s bright, translucent qualities add luster to spaces like no other tile can. 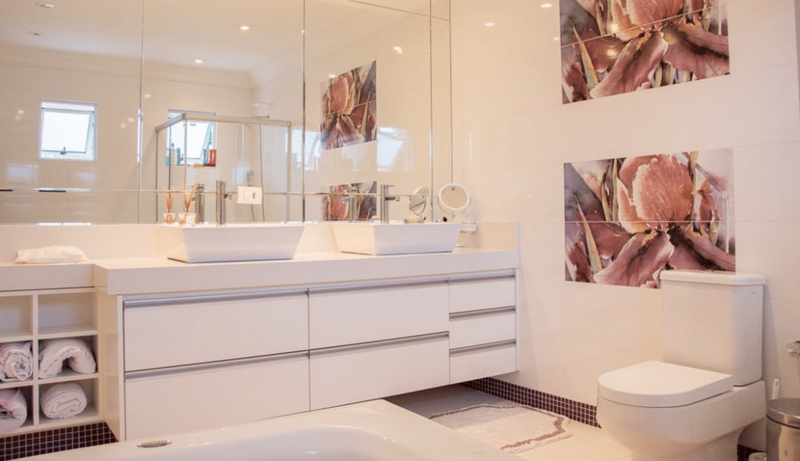 Glass and mosaic tiles are also stain proof, waterproof, and naturally nonporous; making it a fantastic choice for any bathroom or kitchen renovation. Stone mosaics tiles add accents to any space without dominating a room. A Mosaic tile’s detail are used to add a touch of beauty and character to a bland space without going over-the-top.